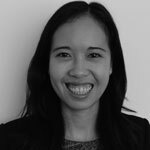 Nancy Pham joined UNU-IAS as the Communications Coordinator for the Education for Sustainable Development (ESD) programme in December 2017. Prior to joining UNU-IAS, Nancy worked in a number of marketing & communications roles across the e-commerce, travel, media, publishing and finance industries in Australia, the UK and Japan. Her experience includes managing omni-channel promotions at Microsoft, delivering digital outbound marketing campaigns at Expedia and running ad marketing activities at The Economist Group. She holds a Bachelor of Commerce and a Master of Management (CEMS), both from the University of Sydney, as well as a Master in International Management from CEMS, completing exchange semesters at Copenhagen Business School (Denmark) and Aalto University (Finland).